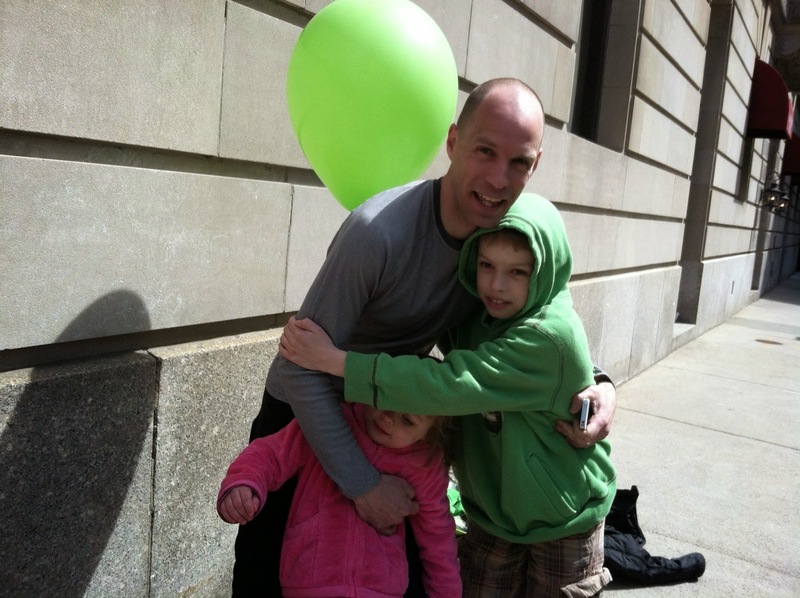 Tomorrow morning we'll be heading out to Boston for the 3rd year in a row to cheer on my speedy husband. We are beyond excited to head down to Boston for the expo, to spend time with family, and to spend the day watching the Boston Marathon - waiting for this guy to cross the finish line! this is last year at our meeting spot - we'll be meeting him here again! 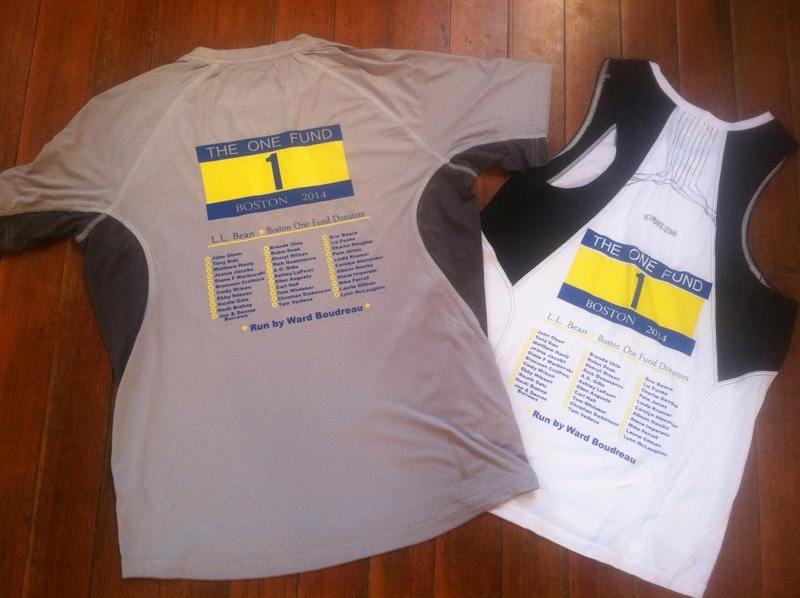 Not only did he qualify again, he also raised money for the Boston One Fund at work and will be running in one of these shirts on Marathon Monday - honoring Boston One Fund and his coworkers who donated. Yes - two shirts made, just because he didn't know what he really wanted to wear on Monday and he'd rather be prepared! Here's to a great, safe, trip to Boston! I've got him all dialed in on my BAA app as a favorite and will be tracking! Have a wonderful weekend in Boston. Have an awesome time spectating today! !